Are you ready to save our planet? In the year 2086, the dying Earth is waiting for salvation from the black sky. A global environmental catastrophe causes earthlings to flee to the stars or seek salvation in virtual reality. The only hope for those trapped on the Earth is the Changed—the bioengineered post-humans who work in separate manufacturing facilities orbiting high above the dying planet. 4.0 out of 5 starsGreat intro into something that could be even greater series! GROND: THE RAVEN HIGH is a sci-fi novel written by Yuri Hamaganov. 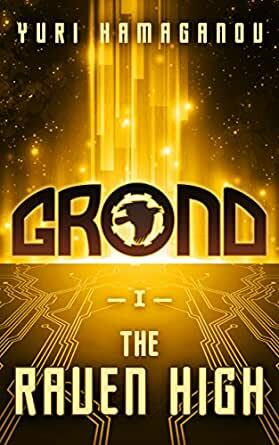 The novel is the first novel from the author’s series GROND Sci-Fi Dystopia novel series and as such, it serves as an introduction into the dystopian and maybe post-apocalyptic world in which children are being raised by android nannies and where our beloved Earth no longer has oceans. The story of the novel, although has some already seen sci-fi elements, also has plenty of novelties which will draw the readers to the novel from the beginning to the very last page of the novel. The year is 2086. Earth is no longer Earth, as we know it. The forests, the oceans, seas, almost everything has vanished. The world in which people live in 2086 is drastically altered and the only thing that seems to keep everything together is mysterious “Changed.” When a reader reads this, one cannot but wonder whether the Borg had occupied Earth and simply assimilated every living being. However, it appears that the sinister force from Star Trek was not the one to blame. What caused all this is up for us to discover. Overall, the novel has some very interesting premises, which will surely keep many readers occupied until they read it from covers to covers. The only thing I could find as something “against’’ the novel is a translation, which is a bit off. Nevertheless, the novel has many potentials. Keep it up! 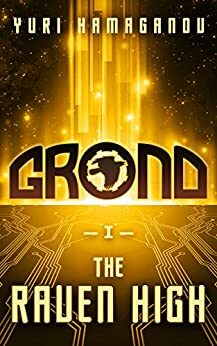 In “Grond: The Raven High” we are exposed to the sci-fi way of living in 2086. There are High Houses out on other planets that deliver precious supplies like water to devastated planets including Earth. One High House is mastered by an 11-year-old Russian girl Olga who is also called Raven. Raven is well trained and advanced for her age – more like a 25-year-old and she commands her ship to fight, defend and provide necessary supplies. If you believe that the future is in the hands of the young then Grond will confirm your belief as Raven handles her command with strength, strategy and skills. The diction seems like that of a non-English person which I am not sure if it is deliberate as Olga is Russian and the author lives in Moscow. Some more editing is needed as there are a few misspellings, incorrect change in gender in relation to Olga, and the switching from 1st person to 3rd person is not very clear. Overall a very good story that is the first of a series that can only get more exciting. This is a futuristic science fiction book written, I assume, by a Russian. In this, the Russians seem to be predominant in space, and have built major manufacturing facilities in space that are operated by a genetically engineered young girl Olga Voronov and an android Arina Rodionovna. The facility, High House 8 (and presumably there are at least seven others) makes a material that will purify water, which appears to be the major problem on Earth, which is run by corporations, with a few very rich and the bulk as impoverished and struggling to survive. The book is seemingly the first of a series, and devotes a lot of time to getting Olga up to the stage where she can control the facility. Things go wrong, and towards the end there are very well-written action sequences. There is also an interesting theme developed. Arina was made by a corporation, but is fully sentient. What are her rights? If she is owned, she is effectively a slave. But why should not an entity that made her to do a job not own her? This is not resolved in the book, but maybe in later volumes. It is a little difficult to grade a book like this because so much depends on what follows. Olga is also called Raven, largely because Voron means raven in Russian, which is fair enough. However, I am unsure what should be deduced from the fact she is called Voronov when Rodionovna carried the feminine ending. There are editing issues, and given that Hamaganov is assumed to be Russian, that might be expected, but maybe some English speaker should read it and point out the flaws. The descriptions are very good, although in the first half, because they involve teaching Olga, they may be too much. One major flaw in the descriptions. At one point accidental damage to another ship trying to dock somewhere else sends lumps of material hitting High House at a very high speed. This flaw happened in the film "Gravity". All orbital objects are travelling more or less on the same orbit, and while there will be serious velocities, the relative velocity should not be as great as suggested here. (There would be almost none if they all launched from the equator, but few do.) Now one such lump punched a hole in High House, tore a pipe apart inside, some liquid escaped, and later this caught fire. Sorry, no. If there is a hole in the outer shell, all the air would flow out, and no air, no fire. However, overall, an interesting book.